Our Eco Team have carefully planned Birding, Kayaking and Trekking Tours in South Thailand. 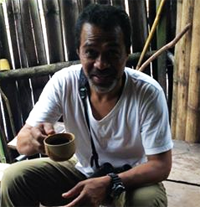 Our birding tours have been very successful by visiting many habitats, in all altitudinal zones, and local lesser known hideouts as possible while still maintaining a reasonable tour pace. 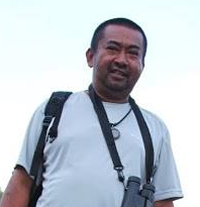 Each tour is led by an English-speaking veteran birding Tour guide who usually live and guides in South Thailand year-round. Accommodation is generally in comfortable eco-lodges or hotels situated near birding locales unless otherwise noted in our programs. Our guides are well versed in finding and identifying rare and target birds, always with the overall goal of making your birding tour and kayaking experience as successful as possible. Meryl Willams is originally from wales and has lived in Thailand for the past 12 years. With a vast experience in the outdoor life, she is fully competent to help and advise with all enquiries. 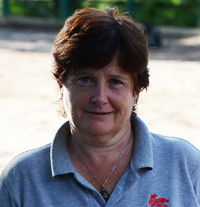 Kitti has spent 14 years kayaking and exploring as a tour leader around southern Thailand. He has spent many years in the hospitability business here and in the UK. He Speaks English and Thai fluently. 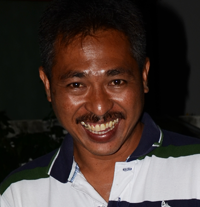 Jarean (JJ) Chanapon is native of Nakorn Sri Thammarat in Southern Thailand he has worked in the Eco tourist industry all of his working life, combine this with his qualifications in CPR and first aid, kayaking , briding , trekking and Nature knowledge has spent 15 years, and you are assured of an educational enjoyable and safe experience. 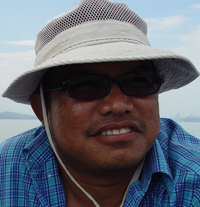 Mr Been is native of Koh yao yai, Phang Nga Bay. Over a decade’s experience in kayaking and exploring the Bay of Phang Nga. He is an authorized tour guide by Tourism Authority of Thailand. 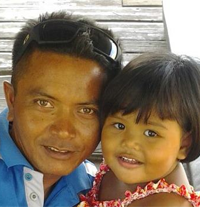 Hadee has kayaked and explored the southern region of Thailand for more than a decade. Tarutao Island is his expertise and he loves it there. During his free time. Hadee loves to go out kayaking with our guests and share the many amazing places he has visited during his journeys.